In a time of flimsy fibres and faux fabrics Swarang Designs weaves the genius of indigenous art entwined with the contemporary sensibilities of design and craftsmanship. ‘Swarang’ literally translates into ‘Your own Colours’. Our journey is to help you rediscover the forgotten arts. 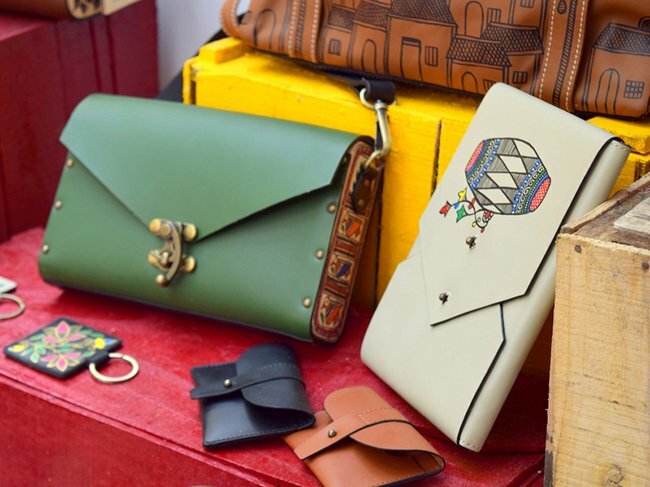 And we do this through our range of handcrafted bags and accessories. 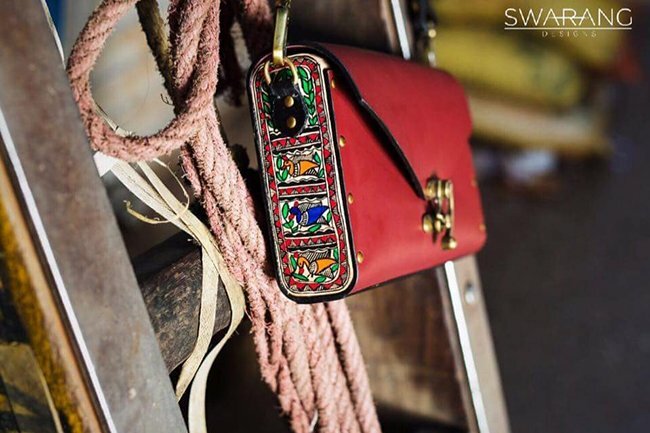 At Swarang, each piece has been created by the help of some of the best regional artists. Every detail brings to life generations of artistry that our artists have not only practiced, but have also perfected. A collaborative project with Bitgiving.com. Our Bitgiving journey unveiled new pieces to the world and gave them a chance to own it. 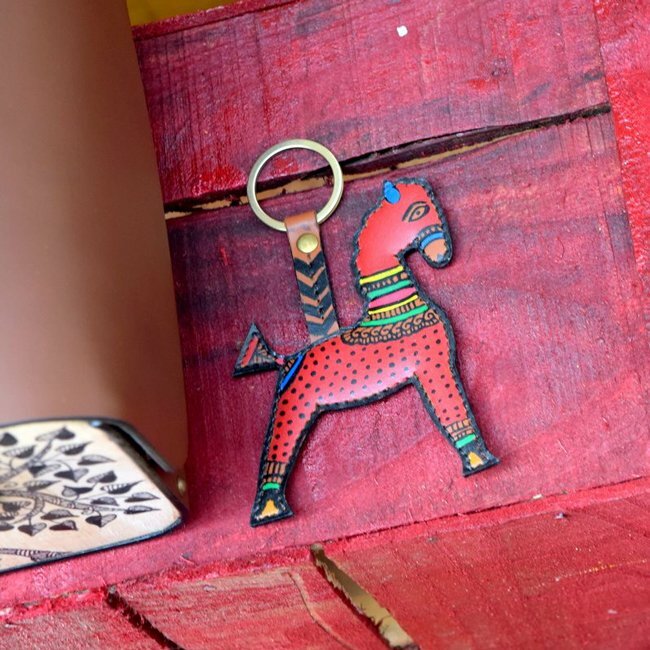 Kitsch Mandi was the first place in Mumbai where we gave the people of Mumbai a chance to rediscover Madhubani. Christmas began early for us with the German Christmas Market. 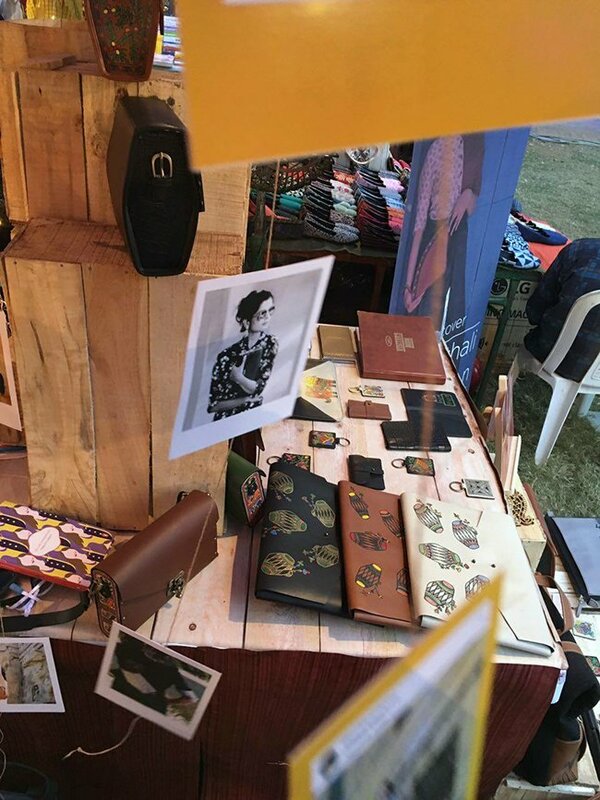 Expats and foreigners were introduced to Swarang Designs. It was here that we helped them discover first-hand the beauty and finish of our handcrafted goods. 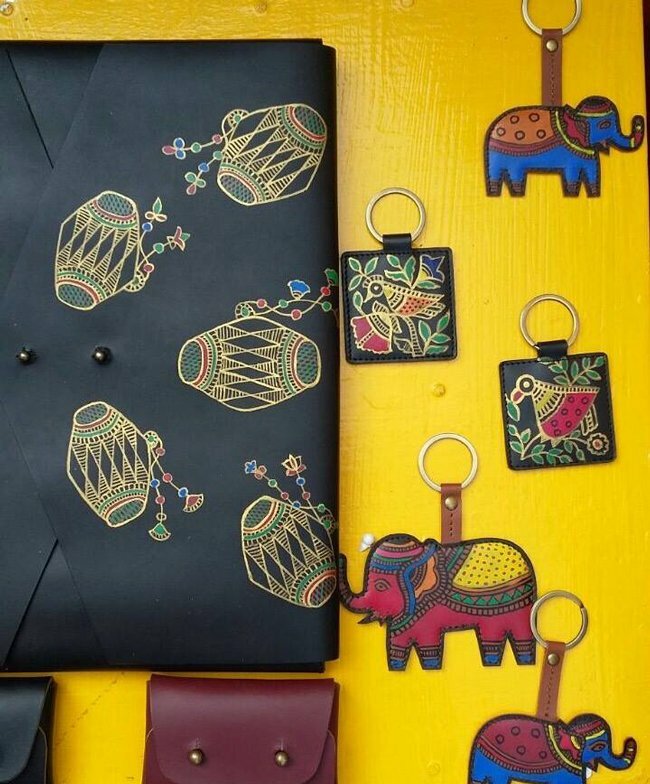 From NRIs to Foreigners, the American Embassy event helped us showcase the beauty and art of Madubani and the handcrafted finish that the Mithali Collection has to offer. From books to Madhubani, we added a little charm and beauty to one of Jaipur’s most prestigious events. 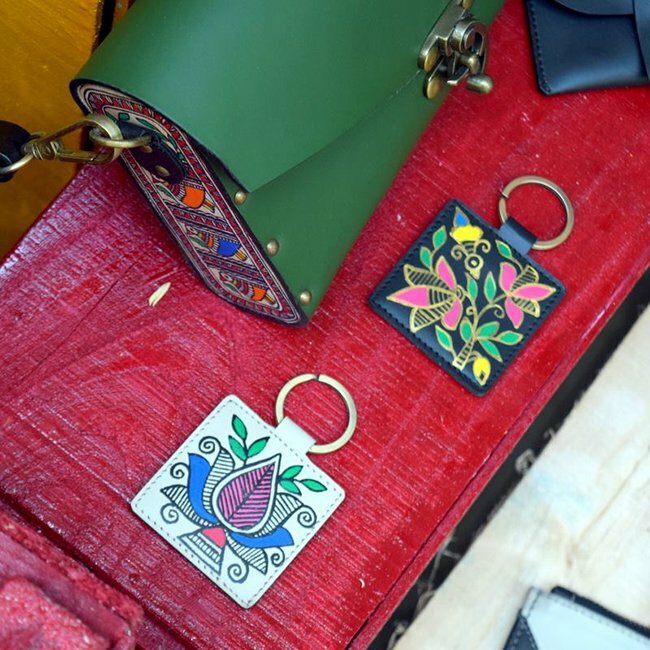 Across the 5 days, the people of Pink city rediscovered the legacy of Madhubani. SulaFest’17 marked the 10th Edition of the event. For us and the people it was a first chance to Rediscover the Madhubani. In the heart of BKC, we welcomed the Mumbai summers. 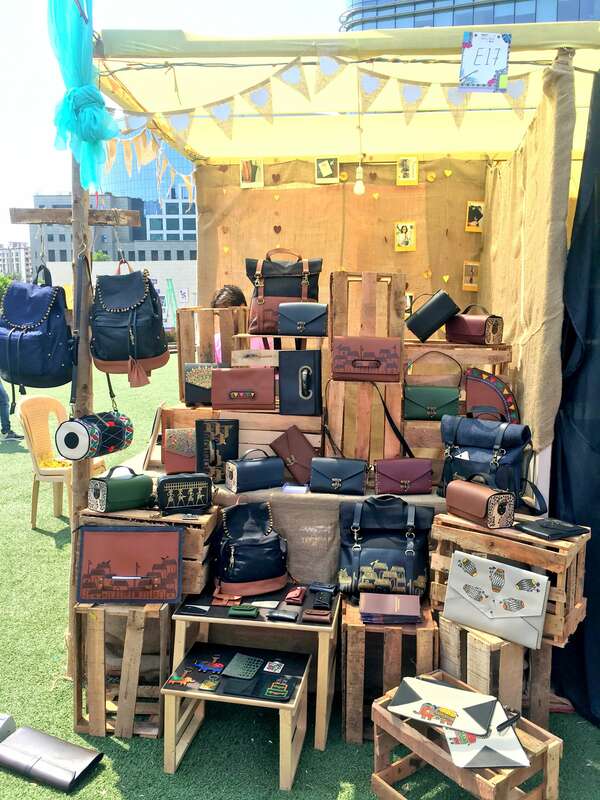 While celebrating Lil Flea’s 3rd anniversary, we fell in love with Mumbai, all over again.